So it's January, you know what that means along with everyone!! I'm getting back on Slimming World and want to start exercising again. My workout DVD is coming back out and i'm gonna start jogging again. I really want a Fitbit and have been researching them today I think the Flex 2 or the Alta would be perfect for me. I have my polar HR watch when i'm working out but the fitbit would be great for everyday and when i'm at work. I just came across Fabletics fitness clothing, they have some great outfits and some lovely colours and patterns. I could do with new trainers, I prefer nike trainers, these Thea's have been catching my eye for a while. I'd probably get the black and white ones as they are versatile, I wish the grey were still available. 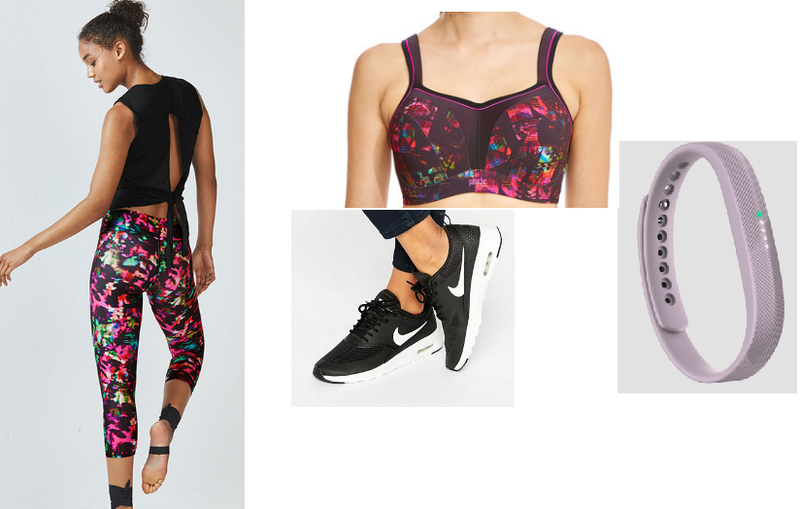 The Panache sports bra is my favourite, i'm loving this new pattern. I've had a few Panache sports bras now and I find them so comfortable. I wear panache Envy bra everyday and find it really comfortable. The sports bras have a moulded cup which gives such a great shape for a sports bra and they come in so many colours. Are you jumping on the fitness bandwagon this month, lets do this!! I got some Nike trainers like those for about £23.00 from their factory shop, they're awesome! Really love the choices you made, the colours of the Fabletics pieces are so bright and playful. If you get a fitbit I use one, it'd be great to add ya and do challenges together if you fancy it? It all goes through the app and motivates you to get your steps done.